Capture your memories forever so they don’t fade away! ‘Do I need a wedding video?’ My overwhelming answer is absolutely! Just read my reviews. A wedding day is filled with so many moments, details, family and friends all creating memories. While the day is amazing, much of it blurs together in one fast-paced celebration of love and union. ‘I didn’t even see that’ or ‘I forgot that happened’ are two common statements after watching wedding footage. There are so many special memories, why let them fade? Video helps fill in those moments so you can actually relive your first dance, listen to your best friends give toasts, and see your father walk you down the isle. You can hear your vows and experience your first kiss, over and over. We provide more then just video coverage of your wedding. All my weddings are cinematic quality and artfully styled wedding films and short highlights videos that allow you to relish your memories. 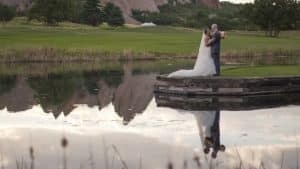 We film the highlights, the more subtle moments, especially all the details that go into making your wedding day special using professional HD/4K cameras and high quality sound recording. I’m passionate about my work and have a creative eye that make each wedding I film unique and exceptional. I know your wedding means a lot to you and I’d love to be part of your special day. Together, we can keep your memories alive! Starting at $3000 || Get the best coverage for your wedding! Contact me from availability & package pricing!